Liquid fly oil. Hourglass bottle. 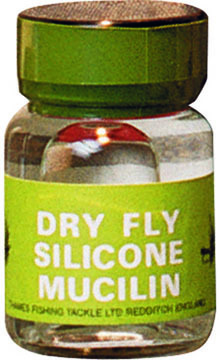 Dunk your fly into the chamber at the top of the bottle.